Instant Pot Hard Boiled Eggs are one of my favorite things! 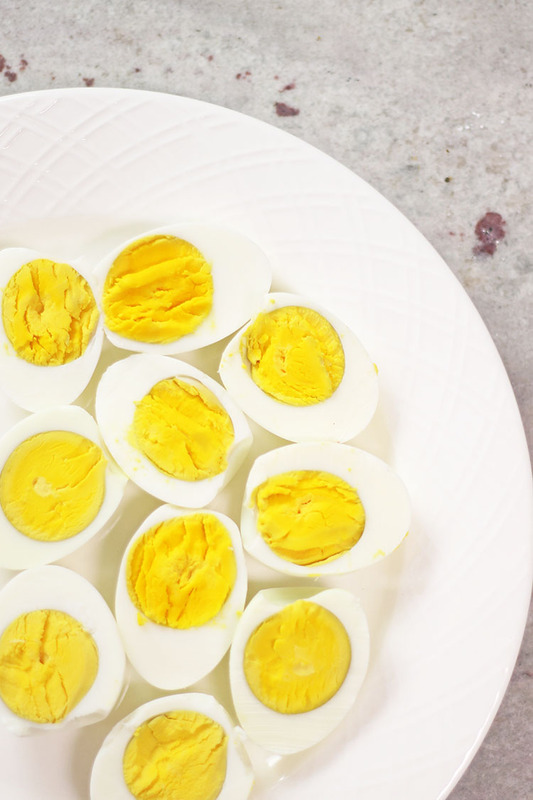 Get perfectly hard boiled eggs every time when you use this fast, reliable Instant Pot Hard Boiled Eggs recipe! 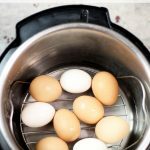 With Easter just a few days away, I had to share this recipe for anyone who doesn’t know… making hard boiled eggs in your Instant pot is one of the easiest things you’ll do! And something you’ll do over and over again! This foolproof method works best for us and is one that is highly popular amongst those who love eggs. We love hard boiled as in tuna salad, chopped on green salads, added to potato salad, for deviled eggs, and more! This method works well no matter which Instant Pot you have. You simply need a trivet. These eggs are ideal for eating alone, or using in deviled eggs, egg salad, or as additions to a salad or any recipe with boiled eggs as an addition. Place trivet into Instant Pot Liner. Add eggs on top of trivet so that they are not touching the bottom of the liner. Set pot to manual for 5-7 minutes. *Note – most recipes call for cooking only 5 minutes then allowing the pot to natural pressure release for 5 minutes. 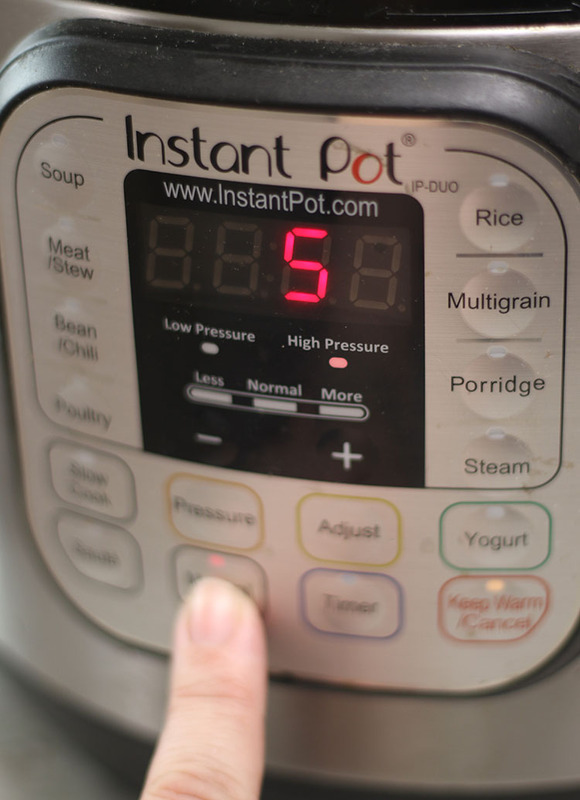 I’ve had much more consistent success when setting my Instant Pot to 6 or 7 minutes and then doing a quick release. This variation might be due to the size of the eggs or fresh eggs vs. store-bought. I’m not sure. For me, 7 minutes is perfect for farm fresh large eggs with a quick release. However, I encourage you to try different times to find what works best for you! When the timer beeps, quick release the pressure then remove the eggs to a bowl for an ice bath or if you’re like me, you can chill them in the same pot. Personally, I add a big cup of ice and another few cups of water to the Instant Pot liner and let them cool there. Peel and serve or remove to the refrigerator for later use. 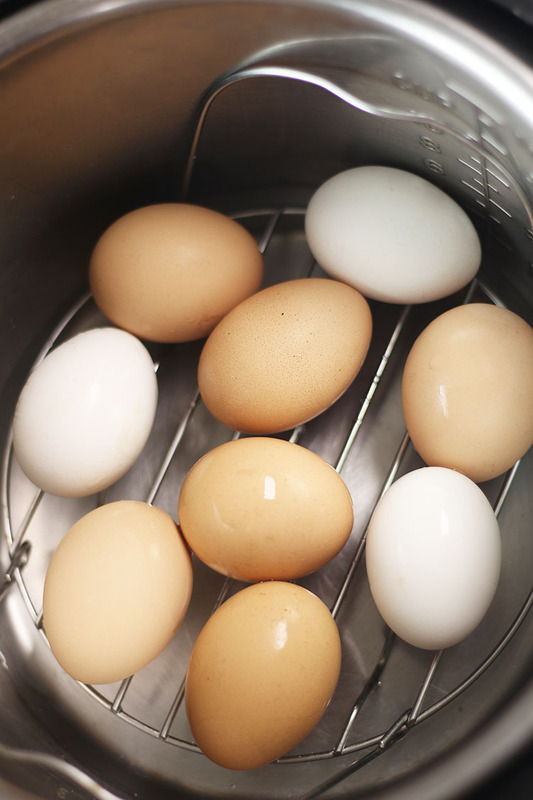 You can easily make larger batches of hard boiled eggs, but this time frame and amount really seem to work the best for perfectly cooked hard boiled eggs. These come together so fast that you can easily cook them each morning while you are serving up breakfast or getting ready for the day. They go perfectly inside lunch boxes or hold in the refrigerator for a week. 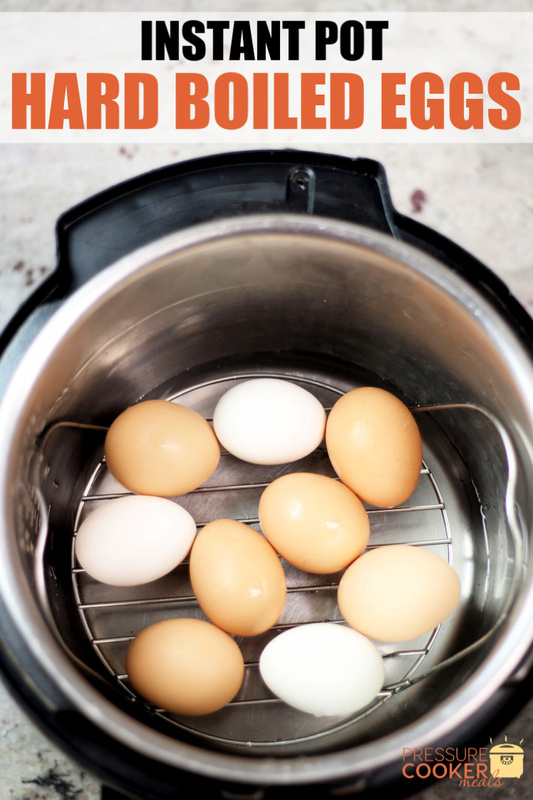 This easy method of making Instant Pot hard boiled eggs is going to be a favorite for your time and convenience. Whether you are doing this for daily use, or for a special event like Easter, this is an ideal recipe to keep in your cookbook. Quick release the pressure once cook time has been completed. 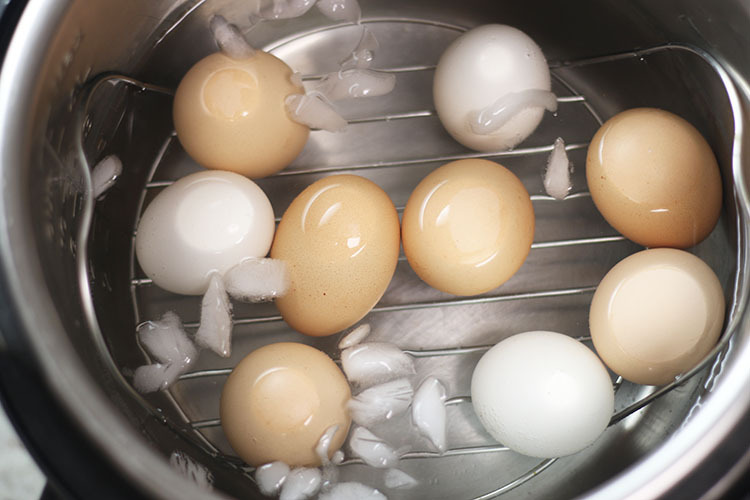 Promptly remove eggs from Instant Pot and submerce in a bowl of ice water. Peel and serve or remove to the refrigerator. 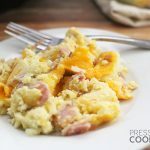 Breakfast is so important for a great day, and this Instant Pot Breakfast Casserole with Ham and Egg is a favorite option in our house. It comes together easily, cooks while we get ready for the day, and is satisfying for hours. A hearty breakfast is a must with a house full of kids, and this one makes everybody happy. My 11 year old son actually made this the day I took pics. He’d been begging to make a special recipe for breakfast, so I encouraged him to try this one. But I have to tell you, the first time around, we thought the recipe was a bust. After taking a bite, I realized why… he forgot he hashbrowns! There is way too much seasoning in this casserole to skip a main ingredient! However, after pointing out his mistake, he immediately jumped up and made another batch. The second time, the recipe was a hit! And I love that all of the ingredients are staples in our home, so this was easy to pull together without going shopping! 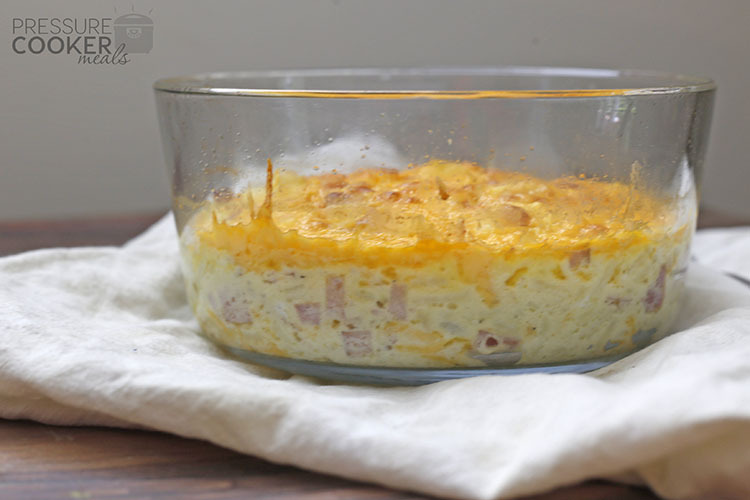 To make this Instant Pot Breakfast Casserole, you need a few ingredients and supplies. First up, you’ll need a dish that fits inside your Instant Pot. I use a simple 7 cup round Pyrex dish (this one fits perfectly in the Instant Pot). I’m sure there are other options but I bought a set of 4 of those so I’d always have one ready to go! Also, you’ll need a trivet for placing the bowl inside your pot. Some use an aluminum foil sling, but I prefer using the trivet that has handles. Another option would be to use a bowl small enough for you to easily remove it with silicone pot holders. 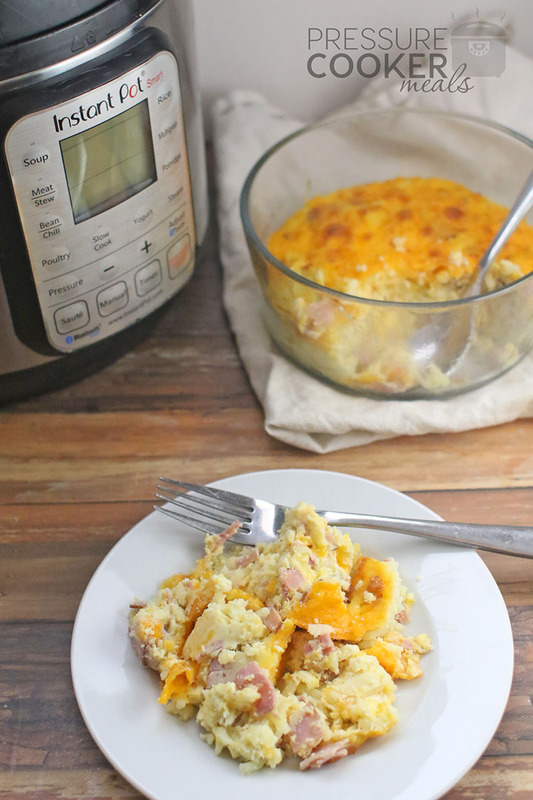 This Instant Pot breakfast casserole is going to be a favorite option for weekend breakfast. Serve with a side of fresh fruit and you have a complete breakfast the entire family will enjoy. It’s even a perfect way to use up leftover ham after the holidays! 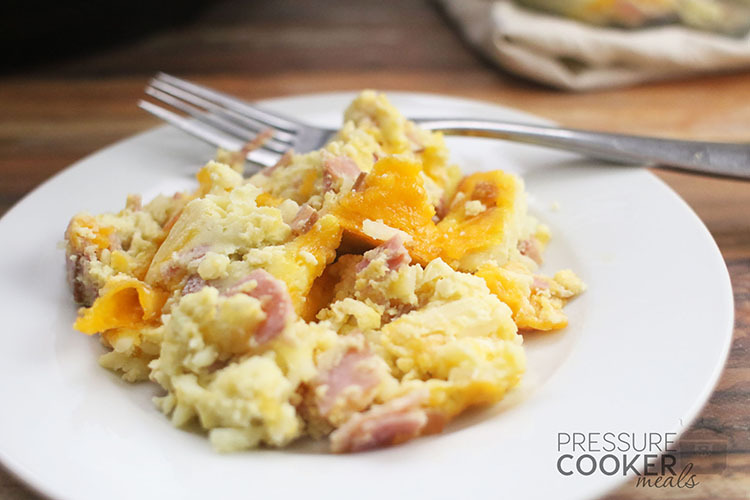 This Instant Pot Breakfast Casserole with Ham and Egg is delicious and heardy! It’s also super easy to put together in your Instant Pot! In a large bowl, whisk eggs, onion powder, garlic powder, black pepper, and salt. 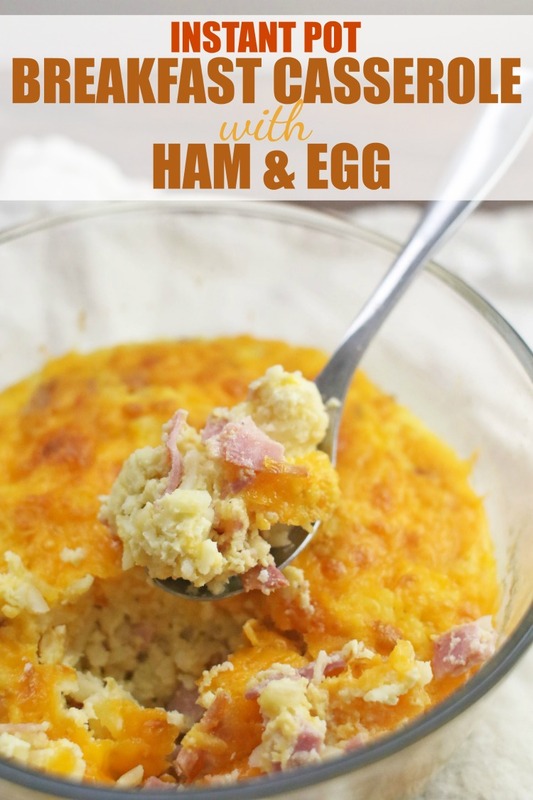 Mix ham, hash browns, and 1/2 cheese into egg mixture until well combined. Next you’ll pour the mixture into the prepared bowl. Pour water into the bottom of Instant Pot insert and place trivet into the pot. Place your casserole dish into Instant Pot and set on top of the trivet. Place the lid on the Instant Pot and set to seal. Allow to NPR (natural pressure release) for 5 minutes. Remove from Instant Pot carefully (use silicone mitts if needed) and serve. If you’d like to brown the casserole a little, place it in your oven under broil for about 3 minutes to get a brown topping! My family loved this as written, but if I were making it just for me, I’d cut back on the onion powder.